“Bull Durham” is likely more recognizable these days as the 1988 comedy with Kevin Costner and Tim Robbins as minor-league baseball players and Susan Sarandon as the woman they are fond of, set in Durham, North Carolina, but for decades before that Bull Durham was the most popular, or among the most popular, chewing tobaccos in the United States. The brand was also sold to smokers who “rolled their own” in a practice that predated actual prepared cigarettes sold in boxes or cartons. North Carolina remains the country’s premier tobacco-producing state. 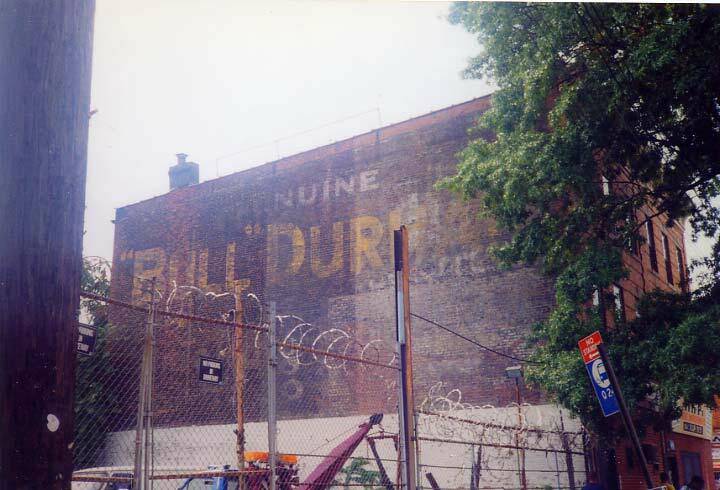 I found this painted “Bull Durham” tobacco ad as I was slouching around Woodhaven, crazy from the heat, in the summer of 1998 or 1999. 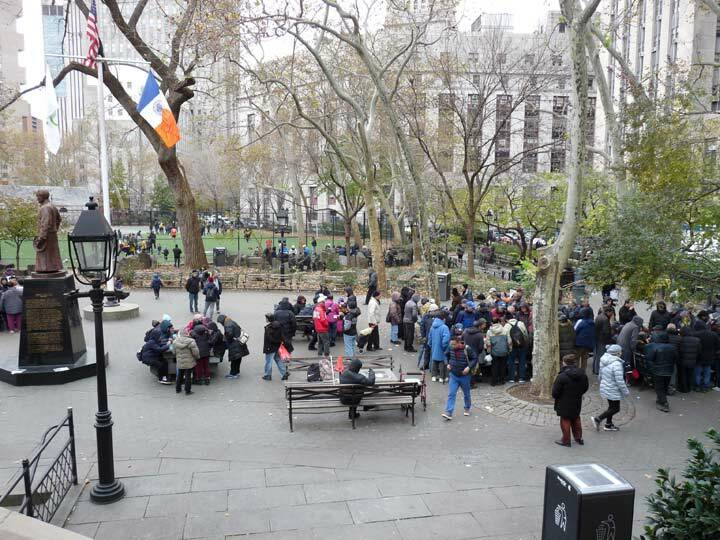 It was likely rendered before 1940, as that’s the year that the Long Island Rail Road placed tracks in a tunnel under the avenue, replacing the at-grade version that had dangerous grade crossings. I found a better-preserved Bull Durham ad in San Francisco in 2008. If I was to go to that site today, would that ad still be there or has it been gone since then? I think it’s long gone.